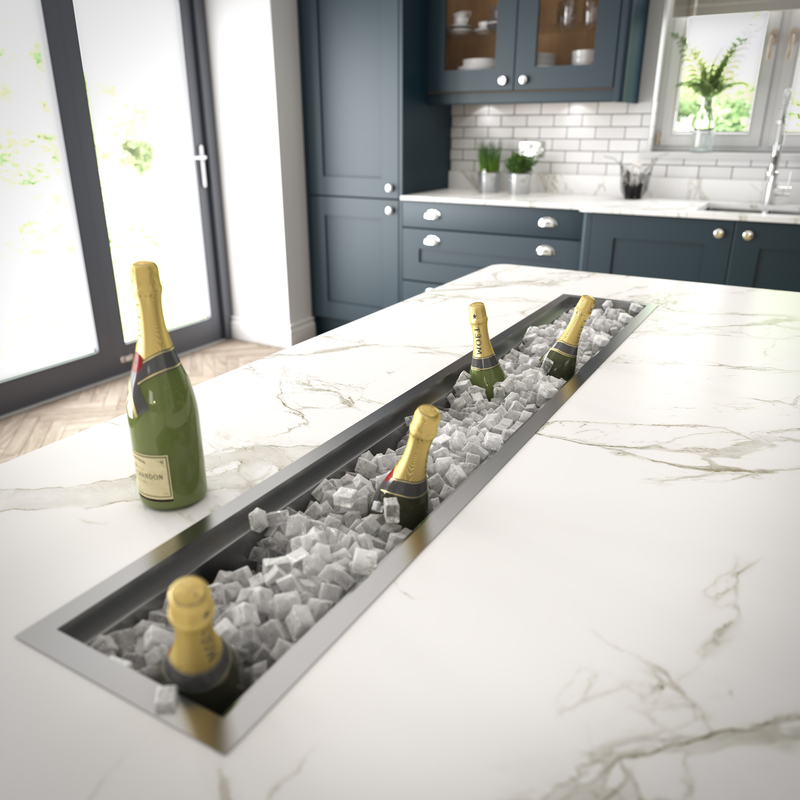 When specifying a luxury kitchen should you throw everything at it – including the kitchen sink? Header image: Reginox’s Ontario RF 7505 stainless steel sink has a contemporary design and features a progressive geometric finish. Kitchens are perhaps the key room in new homes, and with the continuing popularity of ‘living kitchens’ the importance of creating the right mix of form and function is not likely to wane. 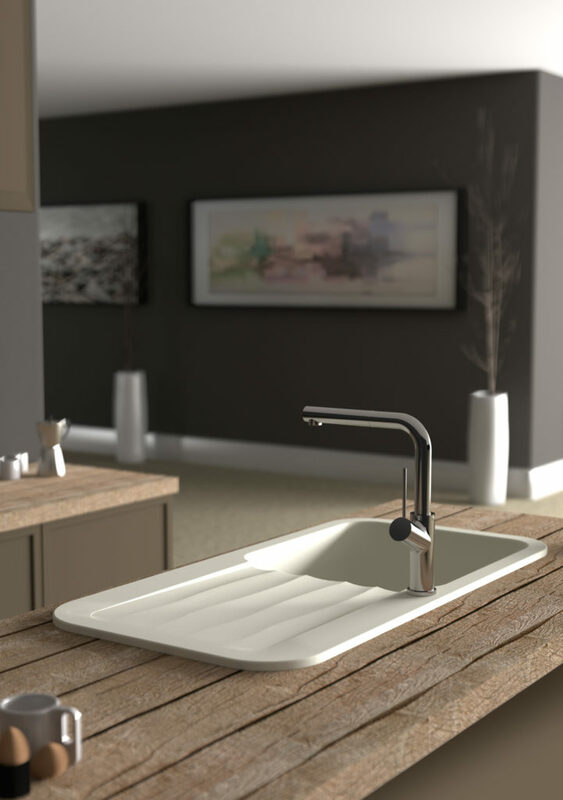 The contribution that a beautifully designed sink and tap can make to a luxury kitchen should not be overlooked. 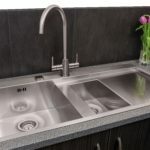 Franke Frames is a slimtop sink and tap with side lever swivel spout tap in solid stainless steel. 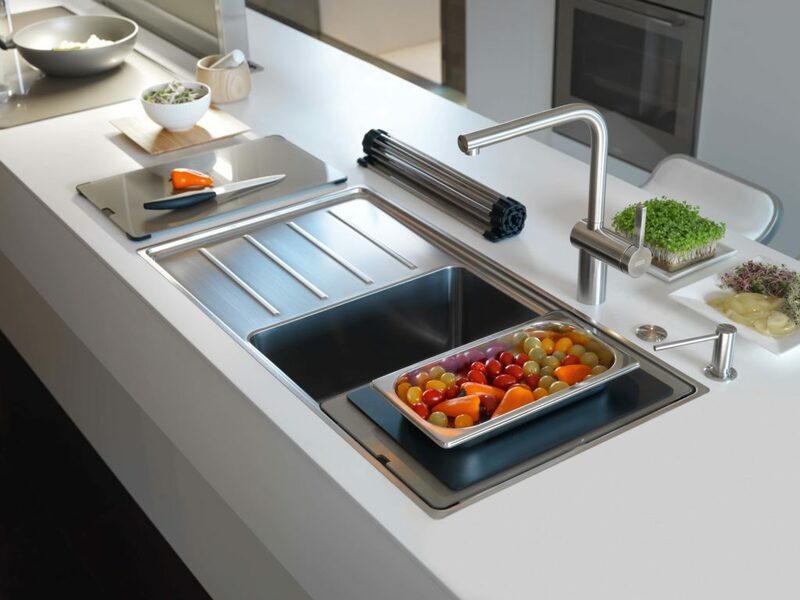 The Frames by Franke FSX 211 stainless steel sink has been designed to combine streamlined design and functionality. The sink features a uniform, slim 19mm frame with subtly radiused corners and can be installed either as low-profile inset or a flushmount for a sleek look. Abode’s Dune sink and Virtue pull out spray tap. A further eye-catching option is a granite sink, which have the ability to combine with a variety of colour schemes. Londa is one of four new granite sinks from Abode, with the collection also including the Matrix SQ undermount sink available in a single, large single and one-and-a-half bowl option, plus Dune and Excite, both of which can be chosen as single or one-and-a-half bowl and drainer. To add a further touch of indulgent luxury why not include an accessory tough – that could double-up as a champagne or ice trough. Manufactured from 1.2mm thick stainless steel, the accessory trough from The 1810 Company can be undermounted or flushfit. 1810’s accessory trough with champagne and ice. The Amanzi, 3 in 1 instant boiling hot water tap from Reginox dispenses both standard hot and cold water through an elegant 3600 swivel mixer spout.